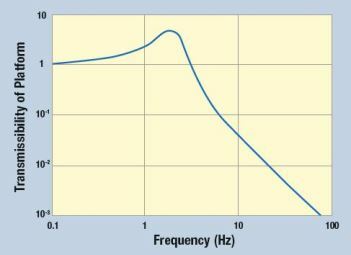 Vibrations limit the performance of sensitive instruments in numerous applications. Thus the need to remove vibrations to optimise performance has become crucial. We have spent many years developing state-of-the art workstations and platforms, which provide the user with a truly vibration free surface on which the user can place equipment. Our products are available in a wide range of sizes and shapes to support instruments of varying weights and footprints. Elimination of movements from a working surface is achieved by isolating it from any external influences such as the floor and the structure itself is rigid and damps out any induced surface movements (fans etc.). The major sources of external disturbances are vertical and horizontal floor movements. Floor vibrations arise from many sources; road traffic, trains, large machinery, lifts and building sway are among common examples. Typically building vibrations peak in the region of 7 Hz, however a metal frame building of height H has a resonance of roughly 46/H hertz, which means that on the fifth floor of a building you can expect horizontal and vertical displacements as low as 3 hertz. Floors almost never exhibit periodic vibrations in the 1 to 3Hz band. The measure of the effectiveness of an isolation system is given by its transmissibility (below). As an approximate rule isolators start to become effective at between two to three times their own natural resonant frequency. Thus to remove vibrations at 7Hz an isolator with a natural frequency of about 2Hz is required. The performance of an isolator depends on its stiffness and the mass it is supporting. In general isolator performance improves as mass is increased and for optimum performance one should work close to the maximum load an isolation system is designed to support. As an example, it is bad practice to place a 50kg load on a table designed to support 500kg, whereas a load of 200kg or more would be suitable. The load supported by an isolator is calculated by multiplying the air pressure inside the isolator by the area of the piston it is supporting. Thus a piston of 15cm² surface area will support 25kg at 2 Bar. As (pressure) x (volume) for an isolator is a constant at any given temperature, increasing the load on an isolator will cause the piston to drop until the pressure has risen sufficiently to support the load. If one wishes to return the platform to its original level, then one must introduce more air into the isolator at the new pressure. Our platforms combine a highly rigid damped table with an excellent vibration isolation system in one unique package. 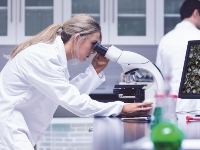 It has long been accepted that the best isolation is achieved using pneumatic isolation chambers, which utilise high performance rolling diaphragms. All our isolators contain such a specially designed diaphragms. Our isolators are also connected to a damping volume via a tuned restrictor. The restrictor absorbs system energy by converting air movements into heat as it is forced through the restrictor. This removes the overshoot and oscillations, which occur in isolators without dampening chambers and highly specialised restrictors such as ours. We use a low isolation volume to damping volume ratio, which means that the working surface appears stiff to the touch (as all large low frequency disturbances are rapidly damped away). Small higher frequency disturbances are removed by the isolator chamber, these have a resonant frequency (dependant on version and load) typically in the range 1.5 to 2Hz. and whose characteristics are given in the transmissibility curves. Our platforms feature a seamless steel top finished in either a grey epoxy powder coat or optionally made from dull polished stainless steel. Both finishes meet the Class 10 requirements. The stainless finish may be required in certain environments and we would be pleased to advise on this. The tops are formed by laminating a highly damping core between two steel plates using high strength aerospace grade adhesives, a technique we developed in producing our range of high performance optical tables and breadboards. Four isolators, airflow restrictors and damping volumes are integrated into the platforms, which allow the working surface to float freely away from its base during operation. The natural frequency is typically 2Hz both vertically and horizontally and is suitable for all but the most sensitive instruments, where our low frequency option should be selected. We offer a choice of active and passive platform versions. In active platforms, each isolator is connected to a self-levelling arm, which can be externally adjusted to set the height of the platform and level it. They should be chosen when the load on a table is expected to vary frequently. These platforms require a continuous supply of air. This can be provided by a compressor or using a gas bottle (suitable for months of normal operation and ideal for clean room uses). Passive platforms are designed for applications where load does not vary.This includes balance tables, which are designed for light loads where the platform is weighted to give good performance. Platforms are manufactured in one location using state-of-the-art automated machinery to guarantee high tolerances and consistency while keeping costs low. Our products are assembled by a highly skilled workforce and rigorous quality control is applied throughout the manufacturing process. Great care has been taken in the design of our products to ensure they achieve the highest levels of performance while being easy to use and to clean thoroughly. 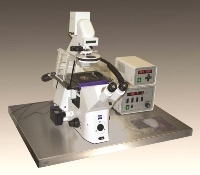 With isolation design optimized for use in microscopy and surface design optimized for easy cleaning, our tables are ideal solutions for use in general purpose microscopy to cleanrooms and Biohazard areas. 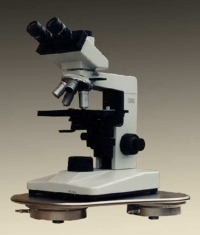 Platforms and workstations improve the environment for microscopes with all the features necessary to make your work easier. 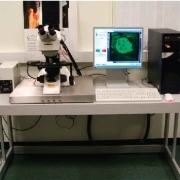 Workstations provide a tailored working environment as well as featuring an isolation platform built into the work surface, making working with a microscope both faster and easier, leading to more reliable measurements in your laboratory. 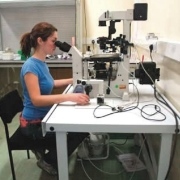 Platforms can also be used stand alone beneath microscopes to isolate them from external disturbances and speed up measurement.. The AMF and AMP platforms offer the ultimate performance, incorporating four 2Hz damped rolling diaphragm air isolators, efficiently isolating frequencies from 6Hz and upwards. 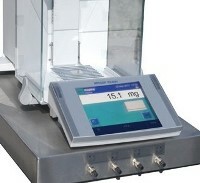 The AMS tables incorporate Sorbothane isolators, giving excellent isolation with a natural frequency of less than 7Hz. Our isolators considerably outperform both simple air cushion and rubber isolators, shortening stabilisation times and speeding up measurements. 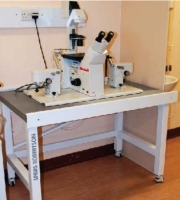 We offer a range of workstations and platforms to suit different environments and microscope performance levels. 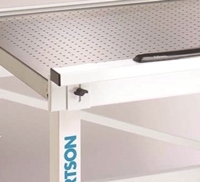 Workstations feature a platform mounted on a study steel frame with height adjustable levelling feet and guards to protect the table from accidental knocks during use. The ergonomic workstation design minimises user stress. 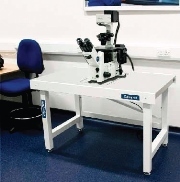 With the active area option microscope platforms sit flush with the work surface and the surrounding area is useable for general work without disturbing measurements. Frames have height adjustable levelling feet, for excellent stability and user comfort with retractable castor feet, frame shelf and monitor support optional. To select a platform you must first decide on the size of the working surface you require, the load it needs to support and the sensitivity of the equipment to vibrations; from this you can determine the class of product you require. You then need to decide whether you will require it to be floor mounted and what type of air supply would be best suited. 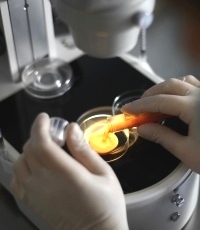 We would be pleased to assist you and answer any questions you may have.